Created for a small zoo in Korea, Zooddy targets children through cheerful colours and special tactile properties. The design concept comprises a branded eco-bag, a brochure, a feeding kit and stickers. The underlying principle is to encourage playful learning experiences. 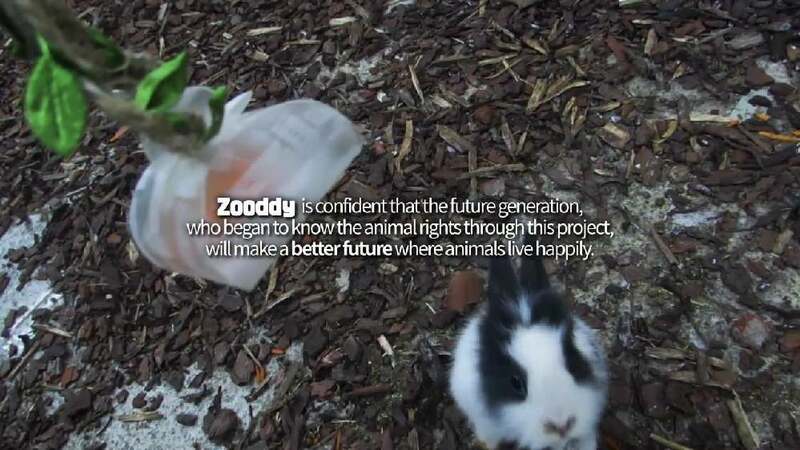 The children can, for example, assemble the feeding pouch or attach stickers to the glass of cages to create a private zone for the animal inside. By providing a lovingly designed and memorable form, the educational kit fosters a responsible attitude towards the animals.